Yesterday Mark & Grace Driscoll were on ABC’s The View (you can watch the video here). 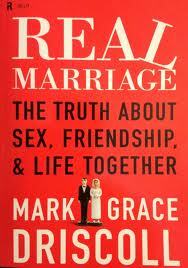 They were being interviewed concerning their book Real Marriage. The more that Christians are given opportunities to share their faith in the national spotlight the more that it’s clear that the world hates Jesus, their understanding of Jesus, and Christians in general. You would never hear such an attitude come out if The View were interviewing people of other faiths, be it Islam, Hinduism, or any other world religion. It’s certainly frustrating when the public square misrepresents Christianity. It drives me crazy when I hear alleged beliefs of Christians that are simply not present. Yet it’s equally frustrating to see society completely ridicule Christian values so blatantly. The hypocrisy is ridiculous. Pray for those that persecute us. What do you think? Are my conservative eyes seeing things that just didn’t exist or do you too think there was a lack of respect? I saw the episode live, and thought the exact same thing! Thanks for posting man! I… uh… for sure noticed how quiet Whoopi was… she kind of looked more like she was seething underneath. But i only saw the short clip and not the whole episode. I do agree that I have seen them interview other people, and have treated other “different” types with more respect. But I also saw most of it being a typical episode, too, because the whole cast of women don’t really respect each other- they are always talking and asking questions over one another and I have always found it very hard to watch the show because of that.